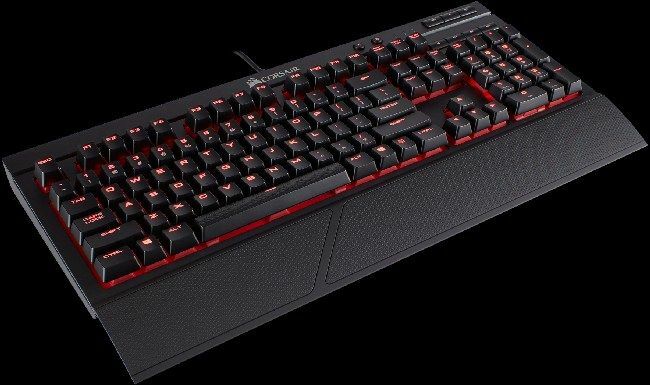 Corsair, among other announcements, today also announced the new CORSAIR K68 mechanical gaming keyboard. 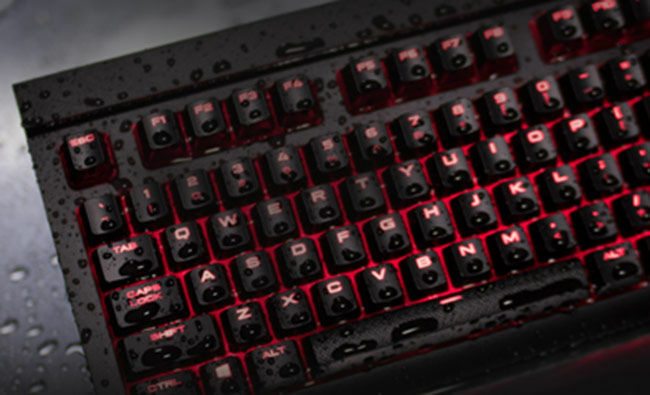 The K68 uses 100% CHERRY MX LED-lit mechanical keyswitches, along with a per-key silicone rubber shield for dust and water resistance with a rating of IP32. Keeping the mechanical touch and feel of CHERRY Switches intact, K68 also has per-key dynamic backlighting and dedicated multimedia controls, allowing for on-the-fly audio adjustment and simple customization. This will be useful to most gamers. During a relaxing moment in between the intense action, one can reach out for a beverage or a snack only to face their worst nightmare - there is an enemy on the screen. In that brief moment, dropping the snack or the beverage is inevitable and it is for such situations that the CORSAIR K68 was designed. 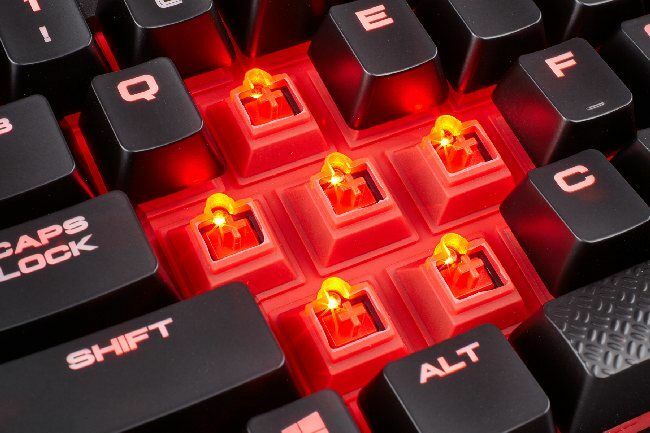 The CHERRY MX Red mechanical key switches are surrounded with individual silicone rubber shields to allow spills to flow right through and keep dust and grime out. Along with the durability, the K68 also boasts of everything you need for a high-performance gaming experience. 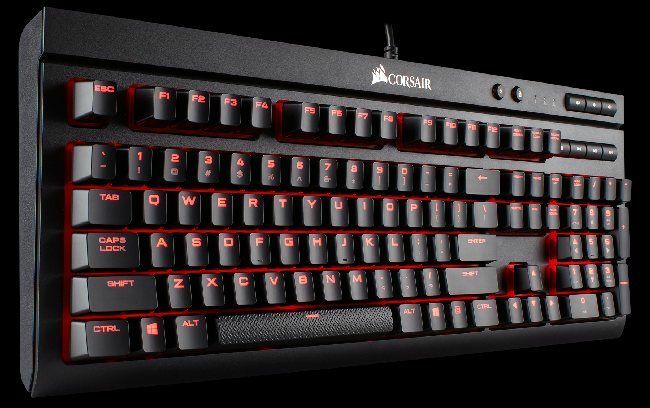 Using CORSAIR Utility Engine (CUE) software, per-key red LED dynamic backlighting is completely configurable, allowing gamers to choose from a wide-range of dazzling pre-set lighting effects or download hundreds of user-made profiles. CUE also allows any key on K68 to be remapped to any other command or complex multi-function macros, with in-depth Macro support. Dedicated multimedia controls bring play, pause and skip functions at the touch of a button to minimise all interruptions, while dedicated windows-key-lock and lighting brightness buttons eliminate distractions or interruptions when you need to focus most. Fully programmable with CUE: CORSAIR Utility Engine (CUE) enables macro programming and dynamic lighting effects. Corsair K68 comes with the MRP of Rs. 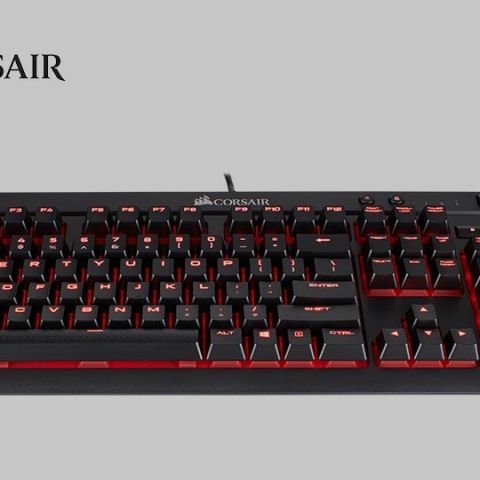 12,599/- and is from mid-June with Corsair India and its regional distributors carrying a warranty of 2 years.